Love the ability to buy these larger bottles. Product worked great really increased my energy took care of brain fog. 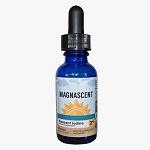 I take Magnascent for chelation, detox, parasite cleanse. I have more energy brain fog gone, more energy. Those things in themselves are remarkable. I feel gratitude. I get the big bottle because I like to buy in bulk :-) to save money. I take take an experimental dose of 12 drops two times a day. Which I 'feel' is correct as I make the drops. I will move that to three times a day. I take my first dose before waking up, so I can eat in the morning, otherwise, wait 40 mins and take a generous probiotic, important at this dose. I bought some Magnesium oil too, I as I had all the symptoms of deficiency. Be aware of your bodies reaction if taking too much at once. My muscles got tight in gym when I inadvisedly shortcutted with whole days Iodine dose at once. That's why the magnesium. 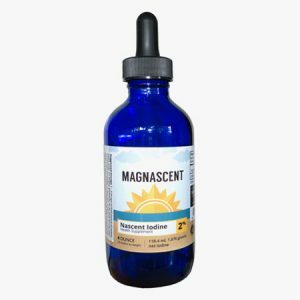 Cassiopaea.org (full disclosure: alternative viewpoints) has a forum thread discussing Iodine supplementation, and other modalities, intelligently, and informatively, about *bleeding edge dosing* for super immune support. webdude, you can edit this freely if you wish. thanks for the life saver. blessings.